There’s no need to wait for a rainy day to bring out the rain boots! 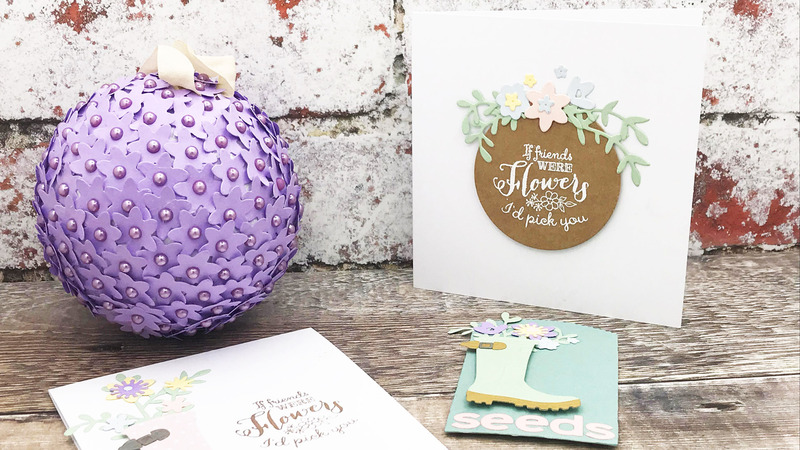 The Rain Boot Planter Die Thinlits Die Set by Olivia Rose is a beautiful way to embellish cards, calendars, tags and party décor projects. The set includes the boot and buckle, plus a variety of flowers and stems for building a unique bouquet. Used as a fun, all-year-round embellishment or as individual elements for a breadth of making occasions, this is a charming die set! There’s so much you can do with one die and today we’re showing you the versatility of this Rain Boot Planter Die with this 1 Die, 3 Ways video (see bottom of post). Susan Curtis of Sizzix shows us how to create 3 different cards with one single die. 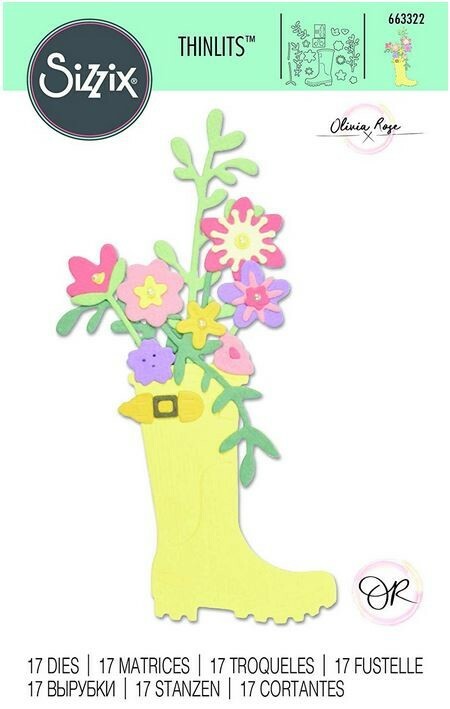 The Sizzix Rain Boot Planter die is so snippable and really allows you to create so many different kinds of designs! Sharon shares some great tips and ideas for working with this die, so don’t miss out on the full tutorial video. It’s a full-length tutorial with step-by-step instructions!